This was a decent week, I got a good amount of work done and had some time for reading as well, but there were also parts that didn’t go quite as smoothly. I did some assistant work as usual. 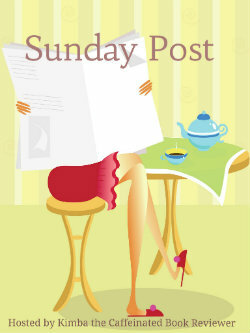 And I put two new review opportunities live on Lola’s Blog Tours this week. If you’re looking for a new book to read and review, please check the full list of open review opportunities here. I have lots of open review opps at the moment and quite a few new ones that went live recently for which I would love to see some extra sign-ups. Most of these don’t have a deadline before when you have to review, if they do have a deadline it’s clearly listed. Last weekend I suddenly noticed lots of books in my Amazon wishlist weren’t available anymore. I saw some author post about it too and it turned out to be happening on quite a wide scale, mostly for international people who buy on the .com store. I was afraid my gift card I just won would be useless as so many books weren’t available anymore. But it seems Amazon is working on fixing it as slowly the books are returning. 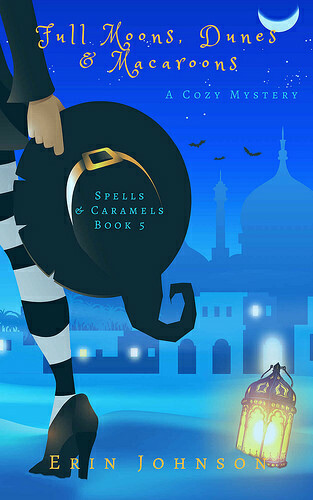 I bought the next two books in the paranormal cozy mystery series I was reading so I already have them, just in case Amazon has another glitch. And I won a free audiobook! As this will be my first audiobook ever, I have no clue which book to get. So I am listening to some samples to get a feel for what’s out there. I would love to hear any recommendations for audiobooks you have! I have added a bunch to my wishlist already, but have the hardest time choosing one, lol. 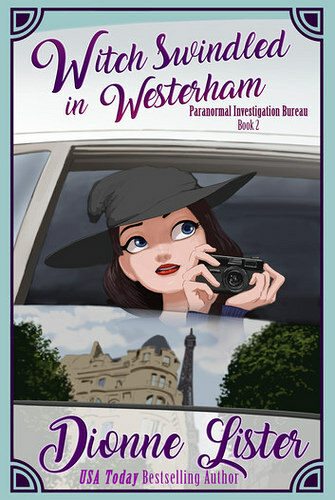 Witch Swindles in Westerham was a fun paranormal cozy mystery. I really am enjoying this series and am currently reading book 3. 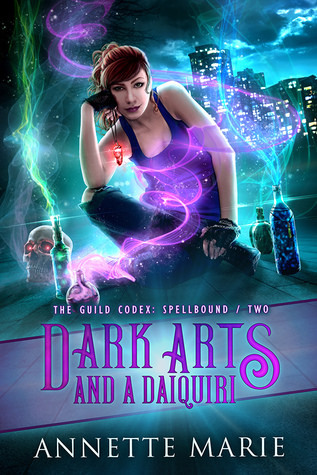 Dark Arts and a Daiquiri was exactly the type of read I was in the mood for and I really enjoyed this one. As I was in a paranormal cozy mysterious mood I picked up Full Moons, Dunes and Macaroons and I really enjoyed it. I can’t believe it’s been so long since I read the previous book and I still have two more books to read now to catch up. – Golden Skies by Juan Zapata – New! – Poseidon’s Academy by Sarah A Vogler – New! 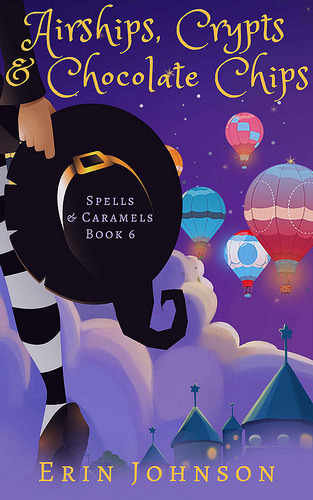 I bought Airships, Crypts and Chocolate Chips and Due East, Beasts and Campfire Feasts as I was reading book 5 in this series this week and realized I hand’t bought the next two weeks yet. 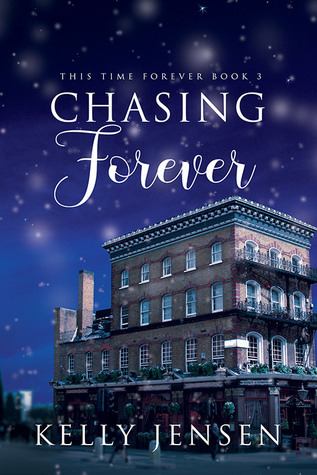 Chasing Forever I got for review and I am so excited for Brian’s story! 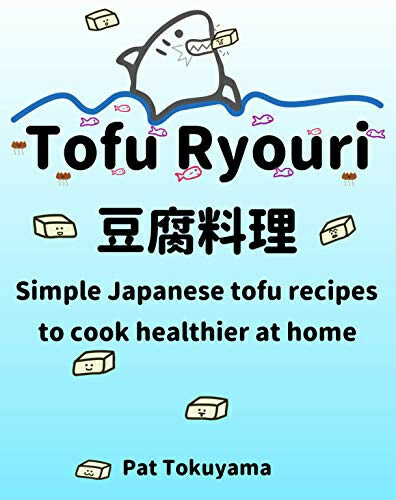 Tofu Ryouri I won in a giveaway on a Japanese Food blog I follow and I am curious about this one as I love tofu. Do you listen to audiobooks? What are some of your favorite narrators? Yay for a decent week. Things get so crazy around the holidays. I’ll take a peek at your review lists. I saw that about the Amazon glitch and am glad they are getting it fixed especially since authors depend on each sales day for their books. Good call to snag a few just in case. Nice little haul you got. Neat that you can now try your Japanese Tofu recipes out. As to audios, I think of all the ones I’ve tried, I would recommend some of the mysteries in contemporary, historical or sci-fi times since I know you like those. Southern Ghost Hunter by Angie Fox and narrated by Tavia Gilbert, Trouble in Nuala by Harriet Steel and narrated by Matthew Lloyd Davis, The Perfectly Proper Paranormal Museum by Kirsten Weiss, and you can get Carol Van Natta’s Central Galactic Concordance series narrated by Nicole Poole. Thanks for taking a peek at my review list and signing-up for some of them, I really appreciate it :). It was quite the serious glitch and while I am glad they’re fixing it now, I can’t imagine how many authors saw a dip in their sales because of it. I was so happy to have won the Tofu book and hope to read it soon. 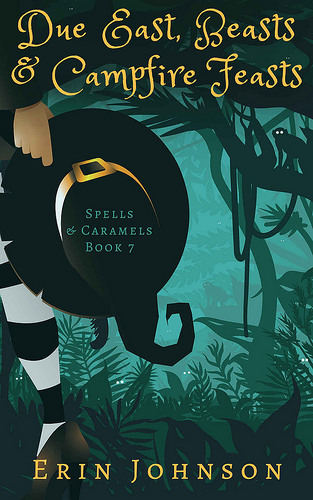 I am actually leaning toward getting the first Carol Van Natta book in audio. I remember another blogger once said it was best to start with an audio you already read. And the sample of Overload Flux sounds pretty good to me. I’ll have to check out the other ones you listed too, so I can add a few more to my wishlist. Congrats on winning an audiobook, Lola! It took me a while to get used to listening to books rather than just reading them myself. And the first time I listened to a book – I fell asleep. Now, though, I’m so happy I’ve discovered audiobooks. it makes my commute so much easier to deal with. I am not sure how I’ll do with listening instead of reading, but I am happy to be able to give audiobooks a try this way. I don’t have a commute, so I am not sure yet when to read to them. I saw the problem on Amazon! Many authors asked us international bloggers or readers to check for their books. Amazon changed my country to US years ago as I had some problems buying on .com for the ebooks… I hope everything goes back to normal pretty fast! I am just glad they solved things mostly again as it was a pain. I’m glad that Amazon is getting that glitch fixed for you and others. Me too, the glitch sure was inconvenient. I ended up picking the audiobook of Overload Flux by Carol Van Natta. So far I am really enjoying it :). The Amazon glitch sure was strange and I feel so bad for all the authors who were affected. Congrats on the win! I am not a fan of Audio books but I started to think maybe for a different Genre like self help or autobiographies I might be able to do since I can never read them maybe would be more fun to listen to. Glad you had a good week, Designing has been so slow for me but as much as I could use the money I am glad for the break this year wasn’t my favorite and I think a fresh redo next year is what I need. I have so many idea and I am hoping 2019 will be my year…finally. Weird about the Amazon bug. That seems like such an odd thing but I am glad they are fixing it. I am actually enjoying my first audiobook. I think the narrator really matters tough as I listened to some sample and immediately thought no. This narrator is really good. I am sorry to hear your year wans’t the best and I hope next year will be better for you. It really was a weird thing as I couldn’t even access the book pages unless I had the link. Luckily it seems it mostly got fixed now. I have a heard a lot from other indie writers whose books from Amazon have abruptly disappeared – not good timing in the run-up to Christmas… I hope you have a great week, Lola. I feel bad for all the authors who lost sales because of the glitch and what bad timing too with Christmas coming up. – And basically anything by Neil Gaiman is always narrated TO THE NINES! Like so incredibly honestly. Thanks for the recommendations! I’ll make sure to check these out. I am currently listening to my first audiobook and am enjoying it so far. It seems the narrator is really important. I had something weird happen with Amazon too. Glad to hear the books are returning. Here’s to a great week coming up! I love this time of year. All the holidays and family visits. I am glad it seems they’re fixing it now. I’m glad you had a nice week. Sorry about the Amazon glitch, but that’s good it’s getting fixed…especially since you had a gift card to use! I am glad they fixed it as I was afraid I couldn’t use my gift card. I haven’t been bloghopping cuz of my arms, and I missed your last Sunday Post! That’s good Amazon is fixing the problem, that’d be terrible if your gift cards went to waste. I hope you’re enjoying your audiobook!